Can the building blocks of life, matter and human language be found in the signals, motion and gravitational interplay of cosmological forces such as planets, stars and galaxies? If, as many scientists claim – “we are made form star stuff”, then how might one go about testing that hypothesis in any way that makes sense? It is one thing to say that Planet XYZ has high levels of carbon or some such life giving substance, but it is quite another to say that carbon found its way to earth and contributed to the primordial soup that hypothetically gave us life. Much of the academic published material on Xenolinguistics is generally of a non experimental or philosophical nature. Detailed publications by NASA et al. have previously postulated that Polycyclic Aromatic Hydrocarbons (PAH's) are abundant in the universe and suggest their likely role in the formation of life itself. 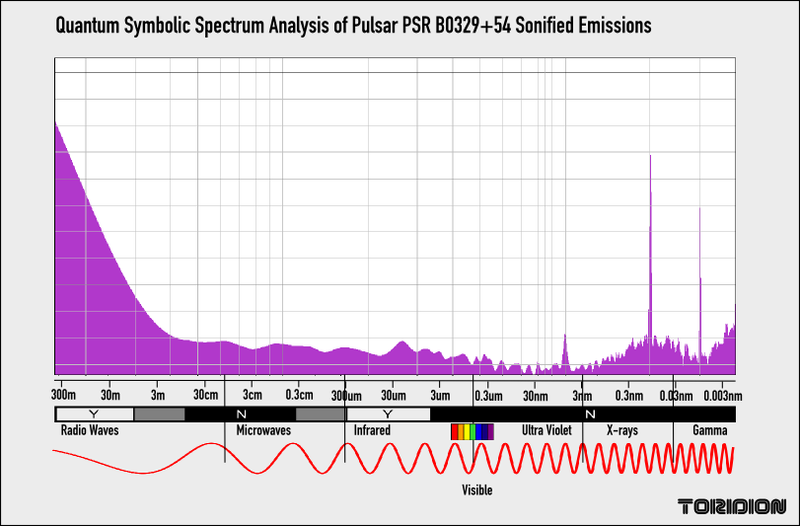 Taking these postulations further, this paper documents the process of quantum symbolic data analysis and how the author for the first time employed a radically new quantum universal translation technique and discovered that many primordial chemical and elementary substances could be identified to be present in the signal emissions of Pulsars and Neutron Stars, thereby lending further evidentiary support to that hypothesis. The paper also details the further discovery that often within the chapters of these quantum books lay encoded huge volumes of literary and theological references, some of which had direct reference to the mythological, geographical and even theological significance of the asterisms within which the stellar objects are associated. The question asked – and for which hypothesis is offered, is how does that language emerge, travel, communicate and manifest? The suggestion put forward herein is that the energetic and chemical language of the cosmos at large is fundamentally encoded into everything we consider as reality. That gravity itself represents a self creating 'Quine' like emergent field that is able to communicate and replicate these codes across the depths of space, and if one looks at the big picture 'and squints' the words it writes are present in everything we experience. A third and final postulation is on the origin and structure of ancient Chinese symbology itself. 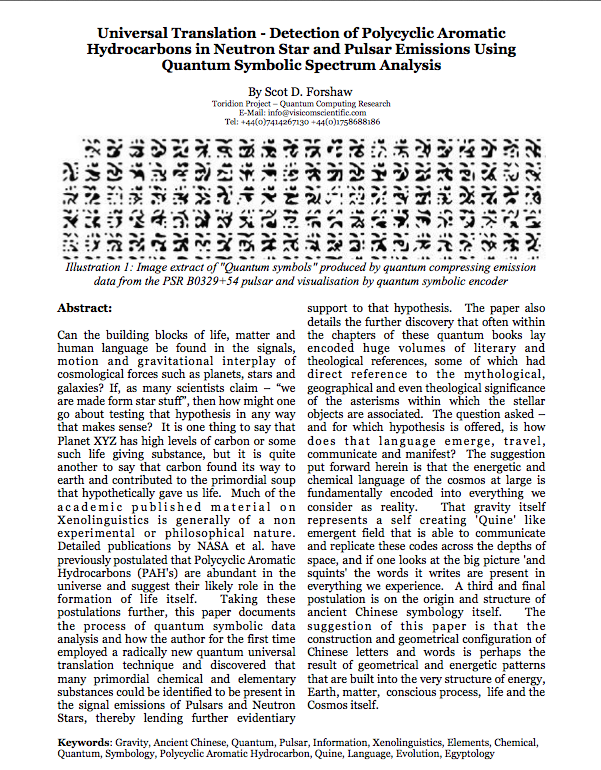 The suggestion of this paper is that the construction and geometrical configuration of Chinese letters and words is perhaps the result of geometrical and energetic patterns that are built into the very structure of energy, Earth, matter, conscious process, life and the Cosmos itself.